Of course, there are many reasons, but perhaps the most important is the incredible service we offer. We’re happy you’ve chosen our dealership to purchase your next Chrysler, Jeep, Dodge or Ram car! Whether you’re looking for a used car or a new car in Norwalk, CT Garavel CJDR has a car that is sure to fit all of your needs. No matter what type of vehicle you’re looking for, whether it’s a 2019 Jeep Grand Cherokee, a 2019 Jeep Cherokee or a 2019 Jeep Wrangler Unlimited, Garavel CJDR is here for you! If you’ve been thinking about investing in a used car near Stamford, Bridgeport, Fairfield and Greenwich, CT, you’re in luck! Garavel CJDR also has a wide selection of pre-owned cars for you to choose from. Not only does Garavel CJDR offer you quality new and used cars but we’re also proud to have a full car service center along with top-of-the-line quality Chrysler, Jeep, Dodge and Ram car parts department. Whether you like to have an experienced technician work on your car, or if you’d prefer to do the service work yourself, our service and parts departments make it easy! Our staff is made up of expert technicians, sales staff and a car financing department near Stamford, CT that is ready to help you throughout the entire car buying process, making it as simple as possible for you to get into the car of your dreams. 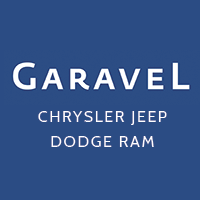 Whether you’re looking to purchase your next vehicle soon, just getting started with the process, or if your Chrysler, Jeep, Dodge or Ram just needs a tune-up, visit Garavel CJDR today! If you’re not ready to visit the dealership you can also contact our car dealership online to ask about anything you see on the site. We’re looking forward to working with you soon! Great! We would recommend Garavel and Morgan. Thank you for making the process easy and quick. Our phone calls and emails were returned promptly. Thank you. In todays car market this dealer ship was excellent to deal with. The staff we dealt with were helpful and friendly. My wife and I went home feeling they would be there in the years to come. We look forward to using the service department. Everything was smooth and easy. No pressure. They listened to what I was interested in and delivered. The employees were open and friendly. I highly recommend them. My 2nd Jeep Cherokee , Lori got me the exact Jeep I asked for . It all happened very quickly and efficiently. I would recommend Garavel again . Keith Zarembski went above and beyond to help me with my service on Thursday 4/18/19. He was very thorough in telling me what needed to be replaced or fixed with my Jeep and helped to get me a rental car for the day. I truly appreciate his help and service. Lori was excellent to work with. I knew what i wanted and she was able to locate my automobile! She is friendly and very experienced with the car. She walked me through the entire set up and spent the time with me. Such a nice experience with Lori. I would send anyone to her that i know that is looking for a new car. The dealership however is a bit disorganized. I had asked to transfer my out of state plates and was told it would not be an issue. The day I went in to pick up the car i was told transferring was not an option and that i would have do to it myself. Very easy process! TJ was great, loaner car awesome! 60k service was clearly explained in a document and everything was done perfectly. Thank you very much! The purchase of my Jeep Grand Cherokee with Neil was a really great experience, and for sure I did not make it easy as having a very mechanical background I really dove into a lot of technical things I think way more than most ever would, and also wanted everything down to the last T crossed on the paperwork just the way I wanted it, and Neil came through with every bit of it. Also, for just the one or two tiny little aesthetical issues that came with the car Neil and the service department we all over them and got them resolved right away. For sure I feel I can (and will) recommend with great confidence Neil and everyone at Garavel for the only people to go to for your next automotive purchase or service.